To connect flexible LED strip, an electrical wire from must first be soldered onto it. This wire is then connected to your power supply. Don't have a soldering iron, or no idea what soldering is? No problem! We will be happy to do the soldering for you. 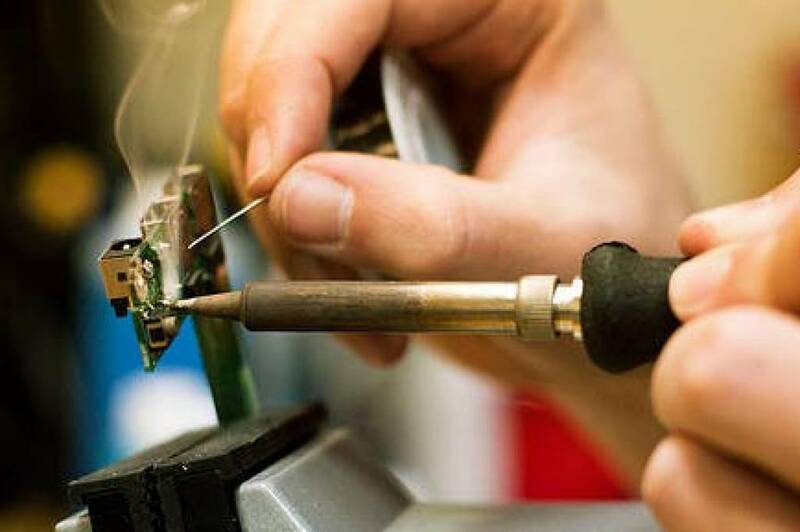 Add this soldering service to your shopping cart and we will make sure that you receive your LED Strips with all necessary wires and ready for use. Please note: If you need multiple pieces of LED Strip (with multiple power supplies), please tell us what size the pieces should be when you checkout. You can use the "order comments" field for this. Electric wire: Do you also need (longer) cables? Then also add this to your shopping cart. If you would like different LED Strips with different lengths of cable for each strip, please don't forget to tell us this in the"order comments" field when you checkout. NOTE: This service is not available for waterproof LED strips! Uitstekend gesoldeerd voor een spot prijs! Almost 5 stars, had it not been for the fact that the shrink tube on the part where wires were connected to the LED strip wasn't really well-placed, showing part of the soldering. It would also have been nice for the soldering service to test the entire RGB LED strip before shipping, because soldering for the resistor for Blue had cracked and I had to fix this myself (without a soldering iron). Apart from that, everything was plug and play! perfecte soldeerservice, voor deze prijs kan je er zelf niet aan beginnen. Het werk ziet er keurig uit metkrimpkousje eromheen. Alles binnen 5 minuten aangesloten. Bovendien was ik vergeten een connector te bestellen, maar die zat er gewoon bij. Fantastische service!